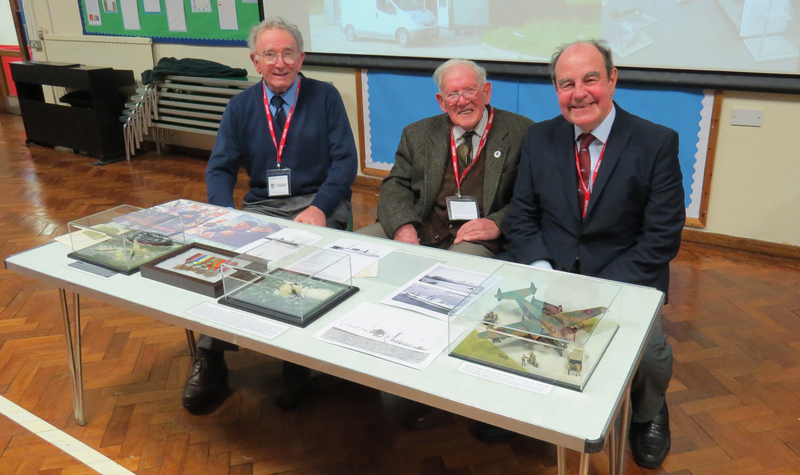 FONFA Trustees John Brooks and Henry Goodall visited New Milton Junior School on 11th January 2017, accompanied by WWII Merchant Navy Veteran Mick Avery, who served on North Atlantic and Mediterranean convoys and later in the Pacific, supporting the USS Saratoga aircraft carrier group. They spent over an hour with Year Six pupils, who asked several intelligent questions at the end of the presentations. 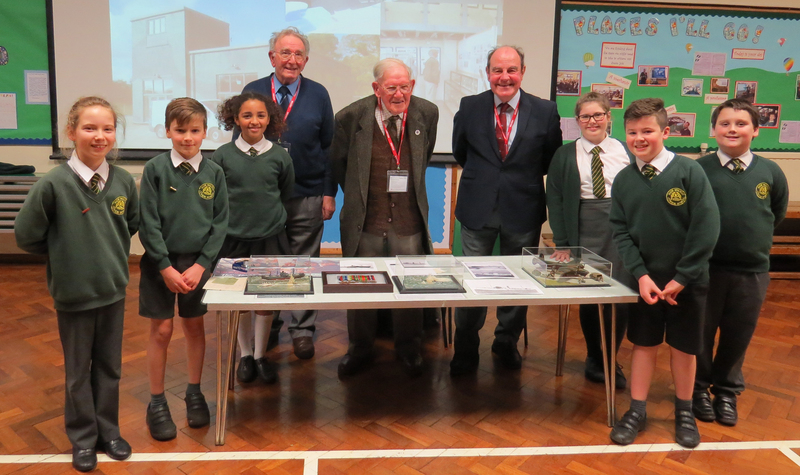 Dr Goodall gave a slide presentation on the 12 New Forest Airfields, Mick Avery described his experiences as a teenage Merchant Seaman in WWII and John Brooks told the children about his experience as a youngster, growing up in London, amid the V-I aerial bombardment. The Trustees showed the pupils model dioramas of both a North Atlantic convoy Corvette attack on a U-boat in February 1943, a Halifax aircraft attacking a U-Boat and an Albemarle aircraft, based at Stoney Cross, used to supply the French Resistance with arms, ammunition and radio equipment, both in September 1943. The children were delighted to see Mick’s WWII medals, and to speak with him about his experiences. The photos below show the Trustees John Brooks and Henry Goodall with Mick Avery and some of the children, who attended the presentations. The children will now prepare projects, related to what they have heard, and the Trustees will re-visit the school in February, to assess their progress and view their resulting work.